Instead of treating all customers the same, you can give special discounts just to new customers that have not ordered with you before. 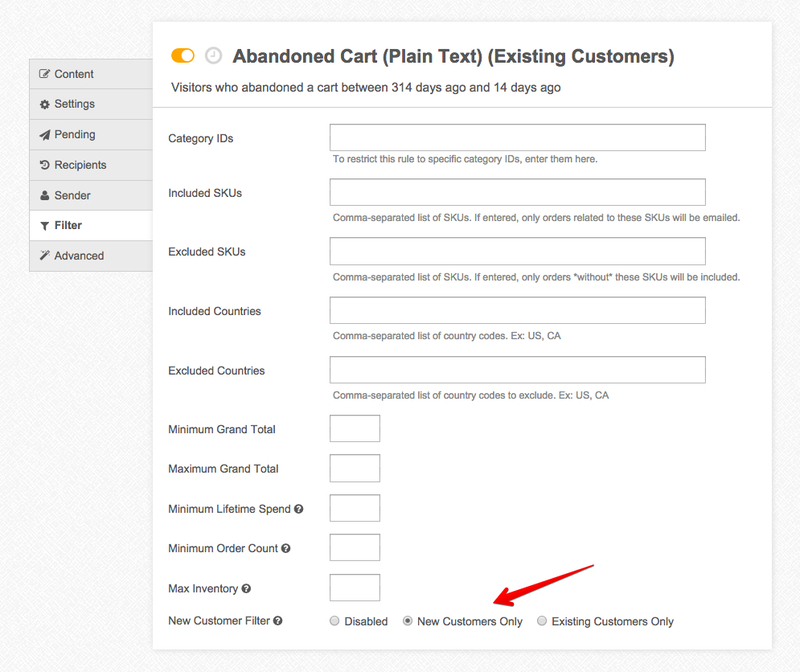 In order to do so, set the *Exclude Customers* option to *New Customers Only*. This will configure the trigger to only be sent to email addresses that don't have any existing orders in the system. If you enable this, you'll probably want to copy the trigger and setup an alternate version of it that goes only to customers using the *Existing Customers Only* filter.